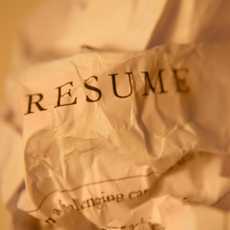 This topic has come up in a peripheral way on Wordsmith Studio: As an unpublished, or even as a not-recently-published author, what can you do to bolster your writing resume? I say peripheral, because the actual question asked was whether it was worthwhile to enter contests because many of the entry fees are expensive/potentially prohibitive. I believe the question was posed in the context of accruing publishing credits, however, and that’s when I started to think about this topic in earnest. So for better or worse, here are my thoughts on the subject in the context of my personal experience. Contests can be fun. They can inspire you, particularly if they have a theme you can latch onto, and the deadline always helps to motivate. The issue for me is that many contests in literary magazines, whether for poetry or prose, carry with them entry fees, and some of these can be as much as $40 (!) for a single entry. If that entry is a single poem (not epic, they usually have line limits), or a 2000 word or fewer short story, you really have to weigh the benefits of paying someone to consider your work, which already carries with it a labour cost in author-hours spent writing/revising. Food for thought: Value your work. How much do you think it cost to write? Even at minimum wage per hour (and I’d advise a higher value than that) it’s probably more than the entry fee. How much are you willing to pay to have your work published? In the beginning, we may all have to pay for this consideration, but it’s important to remember that unless you have a really good day-job, you’re going to reach the point of diminishing returns sooner than later. Yes, you can write off the entry fees on your taxes if you claim your writing as self-employment, and yes, you often get a year’s subscription to the magazine or journal, which you can declare as income on your taxes as well, but you have to consider the relative cost for benefit. For example: If you’re paying a $25 entry fee to receive and annual subscription worth $15 or $20, this may not be in your best interest. Sure, you may stand to win $500 if you place first in the contest, but if the magazine or journal holding the contest is well-known, you’re going to be up against some stiff competition. Take the possible purse out of the equation and work through your numbers again. If you don’t win, or even place, will this still be a good investment for you? Contests are sometimes a way for a magazine or journal to generate some fresh material, gain new subscribers, or refill the enterprise’s dwindling coffers. If you like the journal and want to support them, consider a paid subscription and simply submit to them according to their submission specifications (see below) to see if you can get published by other means. Further, most magazines and journals that hold contests receive so many entries that their judges cannot possibly comment, even in general terms, on the quality/suitability of your work. Entering a contest may be a good experience, but if you’re aiming to get critical feedback, it’s not your best bet. Note: The concerns for poetry are a little different than for prose, at least here in Canada. A poet can rarely make even a meagre income from their work unless they self-publish, and even then, the costs of producing the anthology often outweigh the profits derived from sales. A best-seller in terms of poetry might be 500 – 1000 copies and the poet often has to go on the road (or start up a YouTube or podcast channel to promote their work) to give public readings and drum up interest in their work. In my experience, poets write for the love of poetry. They’re not aiming to make money from the endeavour. The fact of publication is often worth the cost, whatever it happens to be, and most poets are gainfully employed in other, though sometimes related professions, to offset the costs associated with their calling. My advice: Look for contests that have low or no entry fees. They do exist. Which brings us to our next consideration: calls for submissions. Most magazines and journals do have their criteria for submission posted on their Web sites. Occasionally, periodicals, or even publishers wishing to put out an anthology will have a themed call. Like the contests listed above, themed calls can be fun and often for the same reasons (theme, deadline, etc.). One consideration that you should keep in mind is the potential for resubmission. If the theme is too specific or narrow, the story or poem produced thereby may not be suitable for submission elsewhere, unless another publisher is interested in Animal Bollywood, or Japanese Steampunk. Note: Follow the submission guidelines carefully. Many publications weed out submissions that are not perfectly aligned with their criteria, particularly the more popular or well-known ones that are flooded with the work of hopeful authors. Some magazines close their submissions once they’ve received what they deem to be “enough.” Usually, this has to do with their publication schedule. For example: A quarterly (four times per year or every three months) that publishes three to four short stories per issue might close their submissions after receiving eighteen to twenty stories (a year’s worth plus a few back-ups) that they deem suitable for publication. This can happen in any genre (poetry or fiction) or any genre within fiction or poetry (SF, fantasy, romance, mystery, etc.). This only reinforces the importance of looking up the submission guidelines for whatever magazine or journal you choose to submit to. If you rely on annual print publications to plan your submission strategy, this is especially important. The periodical’s or publisher’s situation could have changed since the guide was produced. Remuneration: These terms can also be found on most magazine’s or journal’s Web sites. Often, for fiction, it will be a sliding scale of cents per word depending on the length of the story. It may be a flat fee per poem. Some journals, particularly poetry or literary journals, will only offer contributor copies, or a year’s subscription. Once again, as with the contest entry fees, weigh the benefits of publication. A note regarding online publications: Online publications may not offer contributor copies either (because there is no print version), and if relatively new, may not be able to pay much, if anything. If they are established enough to have advertising income they may provide remuneration. Once more, read carefully. In most cases, it will be rare that a piece of creative writing submitted in response to a call will receive detailed commentary. Once again, it’s a matter of numbers. If you had to read a hundred short stories, would you be able to give each one individual attention? We’d all like to say that we would, but I think the reality is that after ten or so, we’d all admit to a certain amount of exhaustion. And to be fair, why give commentary to a handful, when everyone deserves the same consideration? This is why most publications will not go this particular extra mile. If you do receive a few comments or pointers: excellent! It means that your submission was good enough to merit some extra time and attention. If the commentary is specific, take heed and use it to your best advantage. If it’s simply complementary, keep it, and try not to use it as an excuse not to edit and revise before submitting the piece to another venue. One of the most popular series of guides is the Writer’s Digest series: Writer’s Market, Novel & Short Story Writer’s Market, etc. I might recommend a subscription to the Writers Market.com service, which will have resources/listings updated in real time and on a regular basis. For Canadians there is The Canadian Writer’s Market, but I’ve found that WD has been getting better and better at keeping their Canadian listings up-to-date. This may be a good resource for those dedicated to publishing in Canada. It comes out less frequently than WD, and so checking out the individual Web sites of publishers and publications becomes very important. While the Interwebz can provide a plethora of resources, I’ll recommend Duotrope as an excellent starting point. The service is currently looking for donations to remain in operation as a free resource. If you’ve used the service and found value in it, seriously consider donating. That’s all the Alchemy Ink Writerly Goodness has for this week! Thank you Valerie 🙂 I’m hoping the post will have some value outside our borders as well! My experience in the States is not extensive, however, and I’d hate to generalize. Great post! Thanks for sharing. I found it very informative!